^ Orange County QuickFacts from the US Census Bureau. Quickfacts.census.gov. [2010-07-22]. ^ BHARATH, DEEPA. O.C. Black April events commemorate fall of Saigon. Orange County Register. April 29, 2011 [7 December 2013]. ^ Martinez, Edecio. Disgraced Sheriff's Pension $215,000 After Witness Tampering Conviction - Crimesider. CBS News. 2010-07-12 [2012-12-30]. ^ Dickson, Paul. Labels for Locals: What to Call People from Abilene to Zimbabwe Revised. HarperCollins. 2006: 174 [2011-02-10]. ISBN 978-0-06-088164-1. 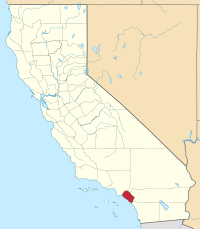 Orange County, California. Orange Countian. ^ 11.0 11.1 American FactFinder. U.S. Census Bureau. 2010 [September 14, 2012]. ^ Resident Population Data: Population Change. United States Census Bureau. 2010-12-23 [2010-12-23]. （原始内容存档于2010-12-25）. ^ Adam Nagourney, "Orange County Is No Longer Nixon Country," New York Times, 2010-8-30. ^ Factfinder - Orange County, CA. [December 14, 2009].